First it was Mississippi, then Texas and Alabama. Now, Louisiana becomes the latest Southern state to challenge a new law that threatens to close a majority of the state's abortion clinics. Attorneys representing Louisiana abortion clinics filed a federal lawsuit on Friday against House Bill 388, a measure requiring abortion providers to have admitting privileges at a hospital within a 30-mile radius. The TRAP law is the latest Republican hat trick making its rounds across the South and Midwest — but if recent court decisions are any indication, federal judges may have this trick all figured out. Signed by Gov. Bobby Jindal — who has a long anti-choice record — in June, HB 388 will go into effect Sept. 1. The rushed deadline left abortion providers just under three months to apply for and receive hospital admitting privileges. When the law is enacted next week, three out of the five clinics currently operating in Louisiana will be forced to stop providing abortion procedures or close their doors altogether, according to the Center for Reproductive Rights. Attorneys with the Center for Reproductive Rights and the firm Morrison & Foerster are hoping to enjoin the law, blocking it from taking effect until each abortion clinic can secure admitting privileges. But receiving admitting privileges is not such an easy feat for abortion providers. In past cases, such as Mississippi and Texas, hospitals refused to grant providers admitting privileges because many physicians travel from either out-of-state or more than 30 miles away, as was the case in Texas' Rio Grande Valley; conflicts with religious affiliation (e.g. Catholic-run hospitals); or out of fear of harassment from anti-abortion activists. This is why admitting privileges laws have been the most effective way to limit abortion — or bar access to abortion care altogether — in recent years. We are confident this court will see through the disingenuousness of the politicians who passed this law to the unconstitutional attack on women’s rights and health care that lies beneath, and block its enforcement before it denies safe, legal abortion care to a single woman in Louisiana who needs it. 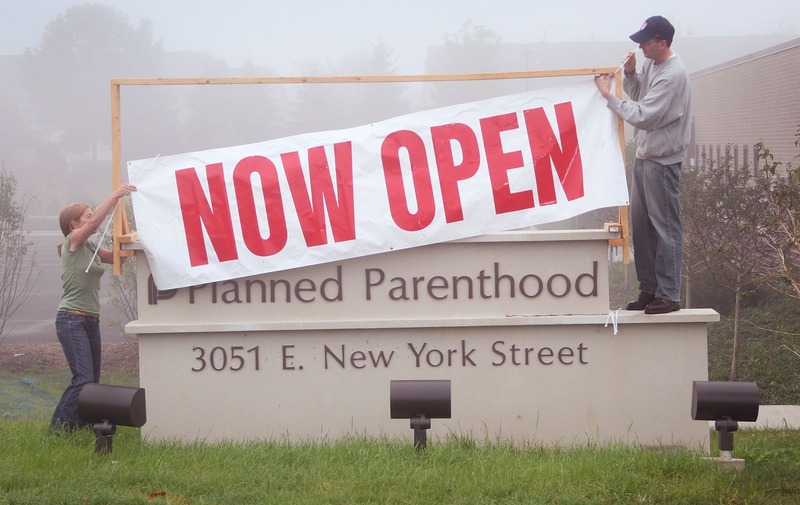 This would hardly be the first time a federal court or judge has stepped in to block admitting privileges requirements from shutting down abortion clinics. This summer alone saw two major victories for abortion rights activists in current anti-choice battlegrounds: Mississippi and Alabama. In late July, a panel of three judges of the 5th Circuit Court of Appeals struck down Mississippi's admitting privileges law, which would have shuttered the state's lone abortion clinic, Jackson Women's Health Organization. The clinic was entangled in a two-year-long legal battle, staying open with the help of a federal injunction while clinic staff sought admitting privileges from a dozen area hospitals; no hospitals complied. The panel of judges concluded that the law was a direct violation of a woman's constitutional right because it "extinguishes that right [to terminate a pregnancy] within Mississippi’s borders." Barely a week later, Alabama's admitting privileges requirement, passed in 2013, met a similar fate in federal court. In a staggering 172-page decision, United States District Judge Myron H. Thompson ruled the mandate unconstitutional, highlighting Alabama's long history of anti-abortion violence that has created a hostile climate, forcing abortion providers to travel from out-of-state residences. If this requirement would not, in the face of all the evidence in the record, constitute an impermissible undue burden, then almost no regulation, short of those imposing an outright prohibition on abortion, would. These two recent court rulings have revealed a changing tide — at least, we hope — of the abortion debate in the legal sphere. However, not all judges are as insanely logical as Thompson, and there have been some contradictory court rulings on admitting privileges laws. While Alabama and Mississippi have had their's struck down, a different panel of judges from the 5th Circuit Court upheld Texas' admitting privileges mandate, which has already closed at least 20 clinics throughout the Lone Star State.